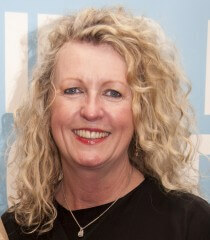 Monica Flood established an IT training and consultancy business in 1981. Olas has developed as one of the premier IT training companies in Ireland and is the sole appointed education partner for SAP. Monica completed the sale of Olas to a French public company, Assima plc. and has retired from the position of CEO to pursue other business and investment interests. Monica’s experience of building a service business and a loyal customer base in a very competitive market provides an important perspective for growth and success. A great supporter of the arts in Ireland, Monica is a Patron of The Model in Sligo, home of the Niland Collection and one of Ireland’s leading contemporary arts centres. Monica has recently been appointed as a non-executive Director to the Projects Arts Centre which began in 1966 as a small artist led collective and is now evolving into Ireland’s national centre for the contemporary arts.